CUAB JUPEB Admission Form 2019 | Apply and Gain Admission into 200 Level. 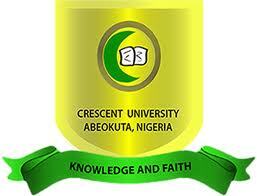 The management of Crescent University, Abeokuta, CUAB wishes to notify all aspiring candidate that the JUPEB admission screening form for 2019/2020 has been released. Interested applicant should read below for more information.